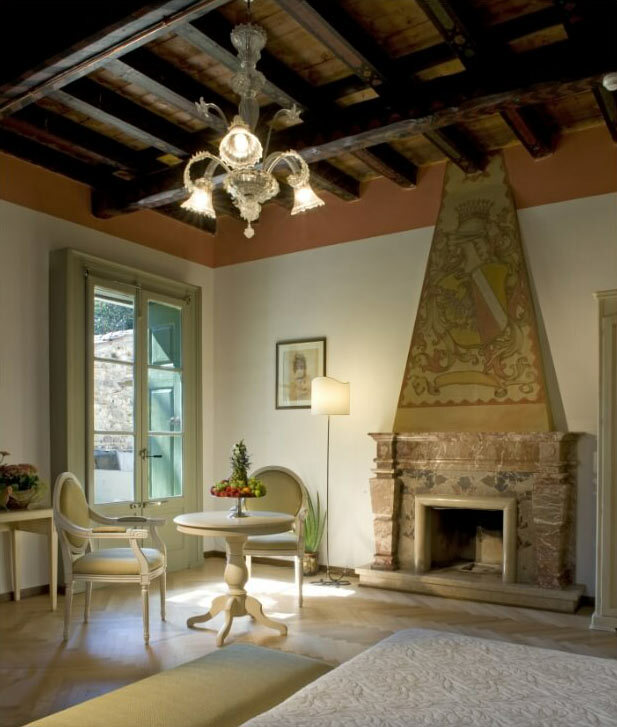 Ideal for those looking for a Relais for a luxury vacation, the Junior Suites of our hotel by Lake Garda are perfect for those who have to stay long or those who need rewarding rest. Our Junior Suites are striking in their space available, which will allow you to enjoy, in addition to the large double bed, a reading area with armchairs and small table. armchairs or sofa, flat-screen satellite TV, telephone, radio, minibar, safe, air conditioning, heating, wood or ceramic floor, private bathroom with shower, hairdryer, bathrobe and slippers, complimentary toiletries.